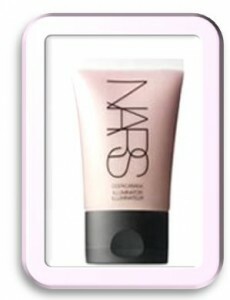 NARS has added to their Illuminator line some great shades including the perfectly pearlized Copacabana. As much as we love the Multiples for their versatility, there is something amazing about subtle and quick look of the NARS illuminators. The colors are perfect for layering, and Copacabana is a great pinky-pearlized sheen for highlighting cheekbones, forehead, chin, browbones, and down the middle of the nose. The slightly liquidy texture makes it easy to blend and the lightness of the formula is ideal for on the go makeup – if a bit strays out of the intended area, it’s no big deal. Find NARS Illuminator in Copacabana at Sephora.com. Sephora.com has a 1/2 ounce Peter Thomas Roth Instant Firm Temporary Face Tightener deluxe sample, free with any merchandise purchase. Visit Sephora.com and use coupon code FIRMUP at checkout. A quick fix formula that firms and smoothes age-revealing trouble spots instantly. A fast acting formula, this prodcut instantly tightens, firms, and smoothes the appearance of fine lines and deep wrinkles so skin looks years younger, all day long. Its remarkable formula effortlessly erases skin creases, including on the forehead, crow’s feet, and laugh lines. Active firming agents remain on the skin, virtually rewinding the clock as they temporarily tighten problem areas. – 93%: The product worked instantly. – 93%: Skin texture looked smoother. Does this palette from Bobby Brown make you think of Spring? Me too, but the shades are actually just right for the cold winter days that stand between us and the daffodils. While heavy, dark makeup can be very tempting, there is the danger of a fabulously deep color looking garish against pale winter skin. A good goal is to brighten and illuminate your face, and then if you want to add a deeper color to one feature (eg dark rimmed eyes), you will still have a warm weather glow. The pink blush may seem a bit bright in the pan, but on your skin, it will look like you have an inner glow and natural color to your cheeks. What I love about this color blush is that it is universally flattering – whether you look like you haven’t seen the sun in months to you look like you just stepped off the plane from a tropical island, it will work beautifully. Same with the eyeshadows – there is a highlighter, lid and liner color that will work on everyone. Find the Bobbi Brown Pretty Powerful Palette at Sephora.com. So if you’ve been on the fence about getting a Clarisonic Mia, here’s a new reason: it now comes in a pretty, pretty lavender, blue, and garnet. The kit also contains a sensitive brush head. My Clarisonic Classic was a great purchase – and whether it is for travel, your gym bag, or home use, the Mia is a great choice as well! Ever wake up and your eyes just look…meh? You probably have a few factors going on – dullness, puffiness, and dryness. On those mornings, you might want to try the new SEPHORA COLLECTION Instant Depuffing Roll-On Gel. While it has the micro-massaging beads on the tip are reminiscent of a lot of depuffing products on the market now, this formula tackles dull and puffy skin with moisture, not ingredients like caffeine. While caffeine can be incredibly effective to take down puffiness, it can dry out your skin if you use it regularly. And if your skin is already starting out dry, you are just going to look drier, not wide awake. The formula contains HydroSenn+, a plant derived moisturizer that continuously moisturizes during the day. It also has light-reflecting pigments to make you look more awake, and red vine leaf extract gets to work on dark circles. I think it’s great that it’s a fragrance free formula – whether your eyes are sensitive or not, adding fragrance to irritated eye skin never works out well in my experience. I’m excited to try this and a few other of the new products from the SEPHORA COLLECTION skincare line. When I pick them up I’ll be sure to let you know what I think! Grab your SEPHORA COLLECTION Instant Depuffing Roll-On Gel at Sephora.com for $15!